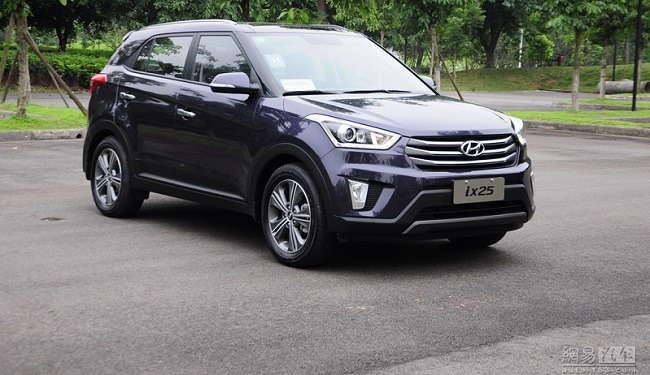 Hyundai, the South Korean carmaker, today announced that its upcoming global compact SUV will be called the ‘Creta’ in all its markets except China. The car will go on sale in the second half of this year. We certainly believe its thumping news for all the Hyundai car lovers. Although, Hyundai has never ceased us to amaze its previous release of i20; Creta has already created hype amongst the buyers as to go what to buy as this compact sedan takes on Duster, Terrano, Scorpio and others in the ivy leaugue. Though the company hasn’t revealed anything about the product except its name, we believe it’s the Hyundai ix25 since it’s the company’s global product that will also be launched in India during this year’s festive season. The Hyundai Creta will be an “influential global model” which will represent the company in the compact SUV segment, one of the fastest-growing vehicle segments, and will extend Hyundai’s reach to more customers in “new and established international markets”, the manufacturer said. Talking further about its name, Hyundai Motors India Limited, said that the ‘Creta’ name is “simple and easy to remember”. “Pronunciation of Creta evokes welcome similarities with the term creative”, HMIL said in its statement. Set to rival Renault Duster, Nissan Terrano, Mahindra Scorpio and others in the league, the Hyundai Creta will share its engines with the Verna. Though there is no official confirmation about the engine options either, we are of the opinion that it will be offered with all of Verna’s 4 engines i.e. 1.4-litre petrol & diesel and 1.6-litre petrol & diesel – thus giving buyers multiple options to choose from. If you are planning to buy the ix25, here are 10 things you should know about this. The ix25 will be based on the new i20 hatchback, as both share platform and components. The vehicle takes its design inspiration from the company’s Fluidic 2.0 design philosophy. Features like ABS, EBD, four airbags, LED daytime running lamps etc might be offered with the top-end trim. Having dimensions of 4270mm (length), 1780mm (width), 1630mm (height) and a wheelbase of 2590mm, it will be a spacious 5-seater. The ix25 will most likely share its engine options with the Verna. It is expected to feature 1.4-litre petrol and 1.4-litre diesel units. Both manual and automatic gearboxes will be on offer. Under C-NCAP (China New Car Assessment Program), the ix25 has received 5-star safety rating. With over 90 per cent content localisation, the ix25 might be comparatively cheaper than its arch rivals – Renault Duster & Nissan Terrano. The ix25 is likely to offer in both front wheel and rear wheel drive options. Based on the evolved Fluidic design philosophy, the ix25 looks like a smaller Santa Fe.